We offer various types of equipment towing. Let us know the pickup and drop off points and our team will carry out the job. 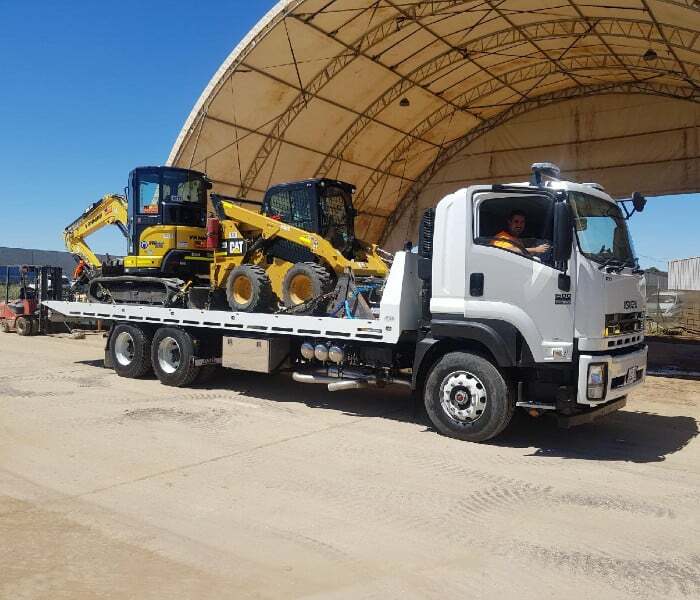 Handling any machinery and equipment is not easy sometimes, so our towing operators utilise practical and effective techniques. Our tow truck drivers see that no harm is done to your costly machine or equipment. Us as a team performs every task with precision, irrespective of the source, destination and the difficulties involved. Our Staff are proficient in or have tickets to operate all types of machines. With efficiencies we bring to the industry, you can be sure that your expensive tools of the trade are in good hands when in transit. Various types of equipment are needed in both residential and commercial applications and so to get the most out of them, they should be transported from one place to another with ease and most importantly on time. We'll transport your assets with care.